Heat oven to 375 degrees. Cut onions in half, lengthwise and the garlic in half across cloves removing excess skin, but not all of it. 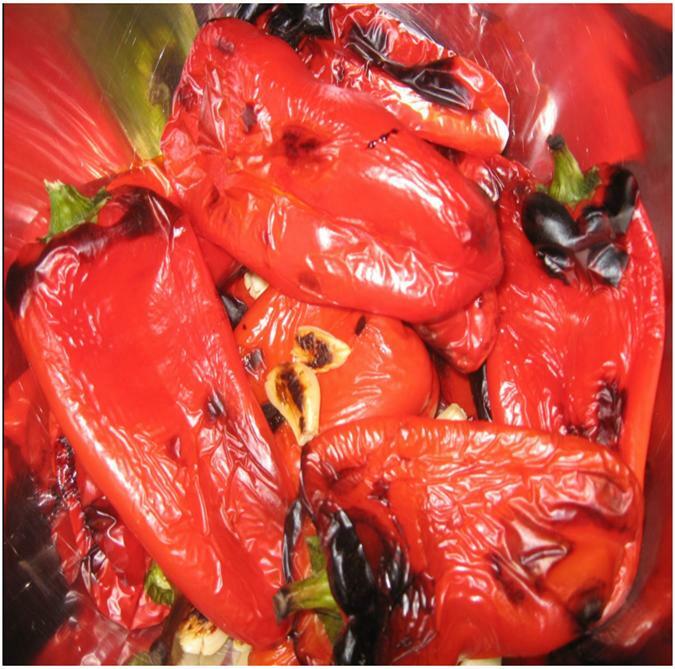 Pierce the peppers once or twice to allow steam to escape. Brush the vegetables generously with olive oil, sprinkle with salt, pepper, and thyme. Roast on a rack in a shallow pan for approximately 45 minutes. Arrange on an attractive platter with some fresh herbs for garnish.